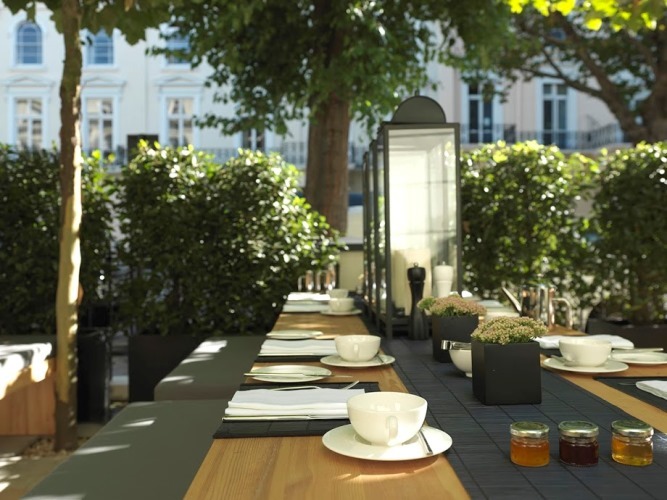 On the edge of Hyde Park on a tree lined street called Inverness Terrace, sits La Suite West, a boutique hotel with a difference. Not only does it have one of the best vegan restaurants in London, it is also beautifully designed. Actress, turned interior designer, Anouska Hempel, is responsible for the minimalist, edited colour palette that runs through the corridors of the hotel. 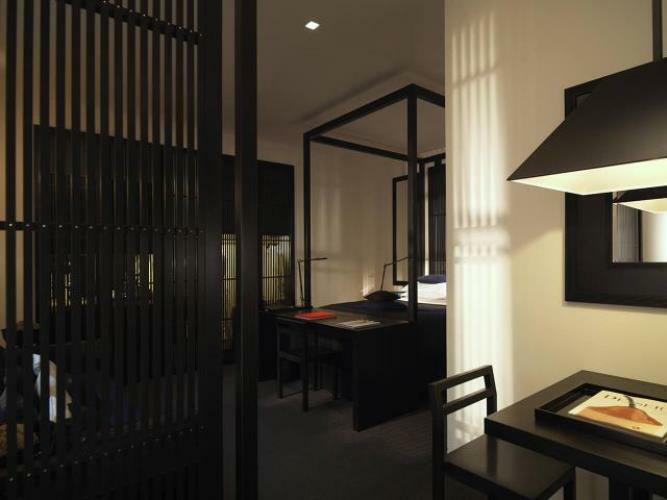 Hempel’s background in the luxury sector shines through in the sophisticated interior. Fusing contemporary design with her signature Asian accents, she creates a tranquil environment for hotel guests to relax in. We visited the stunning hotel to give you a sneak peek inside. A mysterious dark corridor twists unexpectedly to reveal an impressive receptiona area. Marble benches and a fireplace sunken into the wall sit opposite a white monolithic desk. The bedrooms offer the perfect hideaway from the hectic London lifestyle. Muted tones and simple furniture encourage visitors to relax. 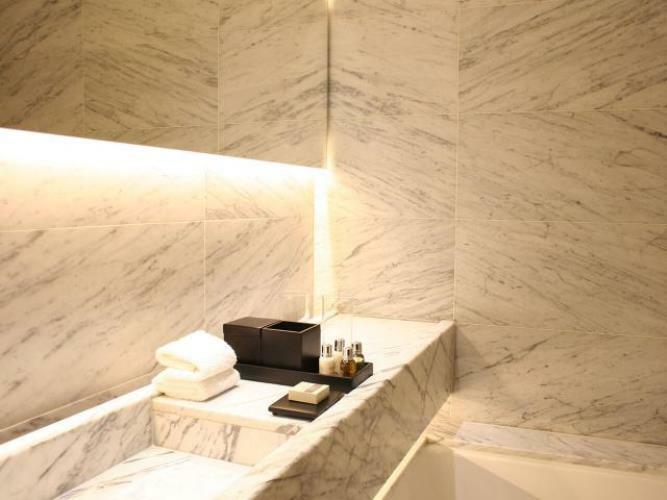 The soft lighting in the bathroom invites guest to enjoy a soak in the luxurious marble bath tub. 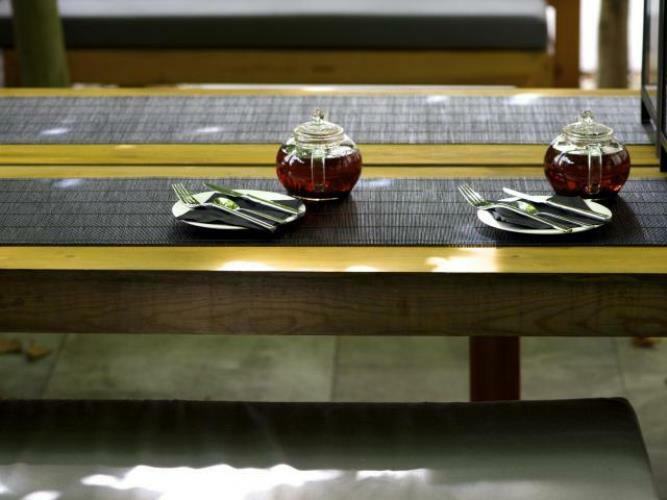 Low tables and benches create an oriental vibe at the dinner table and transport guests to Asia. Order a green tea to complete the experience. Enjoy the British summertime in this beautifully landscaped out-door terrace. Pruned plants and clipped hedges enclose the white oak tables for guests to sit out and enjoy the weather. In the summer La Suite West collaborates with Nosh Detox to introduce Nosh Garden Kitchen and a brand new menu on which you will find a huge range of healthy food options including super food and products. 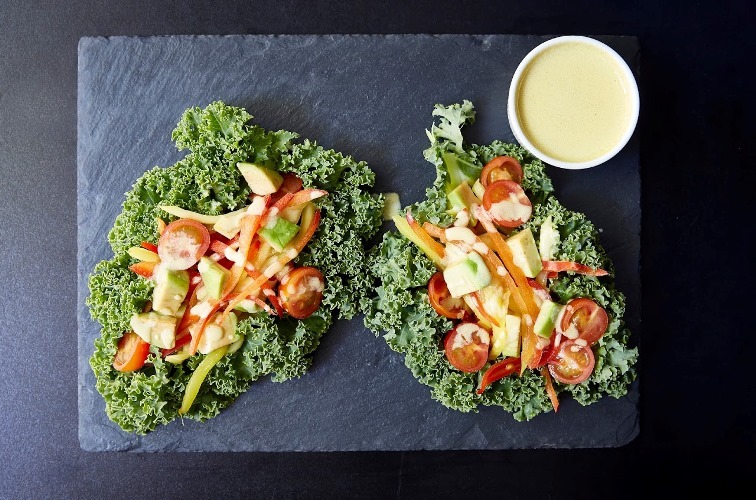 The restaurant offers a sustainable way of dining and encourages clean eating that provides you with all your essential nutrients and supplements.